Srikakula Andhra MahaVishnu temple is in Srikakulam,Gantasala Mandalam, Krishna District, Andhrapradesh. This temple is dedicated to Lord Vishnu. This is not the Srikakulam which is near Vishakapatnam. 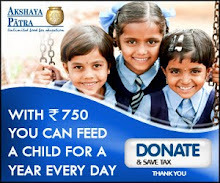 It is 57 th one among the 108 divya desams of Lord Vishnu. This srikakulam is 44kms away from Vijayawada via Ramalingeswara karakatta, 35kms from Machilipatnam, 25kms from Repalle, 12kms from Challapalli. Bus facility is limited better to have our own conveyance. There is no accommodation facility here. Krishna river is approximately half km from this temple. Visiting this temple removes all our sins. Unique feature in this temple is The deity holds a Shanka in right hand and a Chakra in left hand which symbolizes peace. It is one among the few rare temples where we can see Lord as Lord Vishnu, in all other temples we can see his other incarnations like Lord Venketeswara Swamy, Narasimha Swamy, Krishna. SO THIS TEMPLE IS PARIHARA STHALAM for ASLESHA, REVATHI, JYESTA NAKSHATRAS AND FOR BUDHA GRAHA(MERCURY) DOSHAS AND FOR BUDHA(MERCURY) RASIS(GEMINI, KANYA). It is believed those who perform pooja here will get good job, transfers to the required place, so many people come here on Wednesday to perform pooja to get good job and Marriage.We can see original SALAGRAMA MALA decorated to Lord Vishnu here. We can find this SALAGRAMA MALA again in Tiumala and Ryali only. We have reference of Srikakula Andhra Maha Vishnu in UTTARA KANDAM OF BRAHMANDA PURANAM. It is one of the oldest temples beside river Krishna. In earlier days goddess Krishna river did penance here. She asked Lord Vishnu to stay here near the Krishna River. Lord Vishnu told her, at the end of this yuga Lord Brahma will also do penance here with the same wish, then I will fulfill both your wishes. In Kaliyugam Lord Brahma came here and performed penance for Lord Vishnu. Lord Vishnu was pleased by the penance and allowed Lord Brahma to install him as Lord Vishnu here and do pooja here. Lord Vishnu said those who visit this temple will get relieved from their sins. Lord Brahma installed the idol and worshiped Lord Vishnu here. So it is called as SRIKAKULAM (KA+AAKULAM). KA means “Lord Brahma”, AAKULAM means “place”. LORD VISHNU is famous as SRIKAKULESWARA SWAMY, ANDHRA MAHAVISHNU, ANDHRA NAAYAKUDU, ANDHRA VALLABHUDU, TELUGU VALLABHUDU, SIRIKAKULA NAADHUDU. It is believed that those who do bath in river Krishna and visit this temple on Mukoti Ekadasi will get relieved from all their sins. After 1000 years Narasimha varma, the minister of Raja Angapala(raja of Orissa), came here on his way to Kanchipuram. Here he came to know about the greatness of this place and he wanted to re install the deity. He started searching for the idol, but he couldn’t find it. One day he had darshan of Lord Maha Vishnu in his dream, Lord Vishnu told him, he is in the lawn of a brahmin house. Narasimha varma went there and brought the idol and reinstalled it in Srikakulam. Raja Goopuram which is seen now was built by Anantha Dhandapaaludu. By the inscriptions on the pillar of the Rajagopuram we can know this is built in 1081. By the inscriptions on Utsava Murthy we can now they were donated by BRUGUMALLA ANANTHA BHOGAYYA IN 1205. FROM THE BOOK WRITTEN BY Sri Krishnadeveraya, We can know he visited this temple in 1519. On the walls of this temple we can see more than 30 inscriptions of 12th and 13th century. Later this temple was developed by Challapalli Raja Kodandaramann( 1746-1791). Even know their successors are acting as trustees. Darshan of Lord Vishnu is first done by them on Mukoti Ekadasi. This temple is renovated by the funds(one lakh) brought from PEDAKALLEPALLI TEMPLE. Srikakuleswara Swamy temple has 3 halls RANGA MANDAPAM, ANTARALAYAM, GARBHALAYAM. On either sides of this mandapam we can see Jaya, Vijaya. They are dwarapalakas of Lord Vishnu. 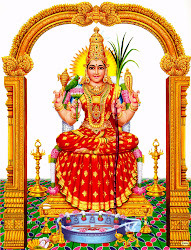 In Rangamandam we can see goddess Bhagya Lakshmi and just opposite to her we can also see Anjayenaswamy. In Garbalayam we can see Lord Andhra Maha Vishnu. There is a sub temple to Rajya Lakshmi Devi on the left side of the main temple. She is the consort of Lord Vishnu. Chenna Kesava Swamy temple is present on the right side of Lord Vishnu in a separate shrine. He is in Veerasana posture with mustache. It belongs to Kakateeya dynasty. We can know by the inscriptions that Sri Krishnadevaraya came here in 1519 and donated 5 villages to this temple for its maintenance. The Vijayanagara period is considered to be the golden period of Telugu literature. Once Sri KrishnaDevaraya emperor of Vijayanagara was travelling via of Vijayawada during his Kalinga campaign. He came to know about this holy temple of Sri Andhra Maha Vishnu and visited SriKakulam village and stayed there for few days. He performed the Ekadasi Vratham during that time. Lord Vishnu gave Darshan to him in his dream and told him to compose a Andhra poem and dedicate that book to Lord Sri Venkateswara Swamy as there is no difference between me and Lord Venkateswara Swamy. The kavyam which is written by Sri Krishnadevaraya is Amukthamalyada. The place where he wrote the kavyam is called as Amukthamalyada mandapam. We can see this mandapam in this temple. 3. SAHASRA NAAMAARCHANA----50Rs—be there before 9am. 6. It is believed those who perform poojas here will get good job, transfers to the required place, so many people come here on Wednesday to perform pooja to get good job, marriage. On this day pooja is done to Saligrama. 7. If any one want to perform Abhishekam on other days contact the the temple authorities on the before day it self. MOPIDEVI— THIS temple is dedicated to Lord Subrahmanya. Very famous temple. It is 22kms from Srikakulam temple. 2. PEDAKALLAPALLI- It is 10kms from Mopidevi temple. Don,t miss this temple. Excellent Temple and Visited thrice.Temple shows our ancient culture and its the only temple in India where Lord Vishnu have shanku and chakra as Ornaments.